AYREON - ACTUAL FANTASY REVISITED VINYL (2LP+MP3) | Online Shop | Wizard LTD. Album: "ACTUAL FANTASY REVISITED VINYL (2LP+MP3)"
• Ayreon is the highly acclaimed project from singer / songwriter / multi-instrumentalist / record producer Arjen Lucassen. • The first two Ayreon albums The Final Experiment and Actual Fantasy Revisited have never been released on vinyl. • The Final Experiment is an intricate sci-fi/fantasy storytelling and timeless progressive rock and introduces several concepts which appear in future Ayreon albums, such as humanity&apos;s propensity for war, polluting earth&apos;s environment, or the gratuitous use of technology and computers in human society. • Ayreon’s debut album features a line-up of world class vocalists and musicians, including Barry Hay (Golden Earring), Jan-Chris de Koeijer (Gorefest), Kingdom Come’s Lenny Wolf, Stream of Passion’s Marcela Bovio, and ex-Vengeance singers Ian Parry and Leon Goewie. 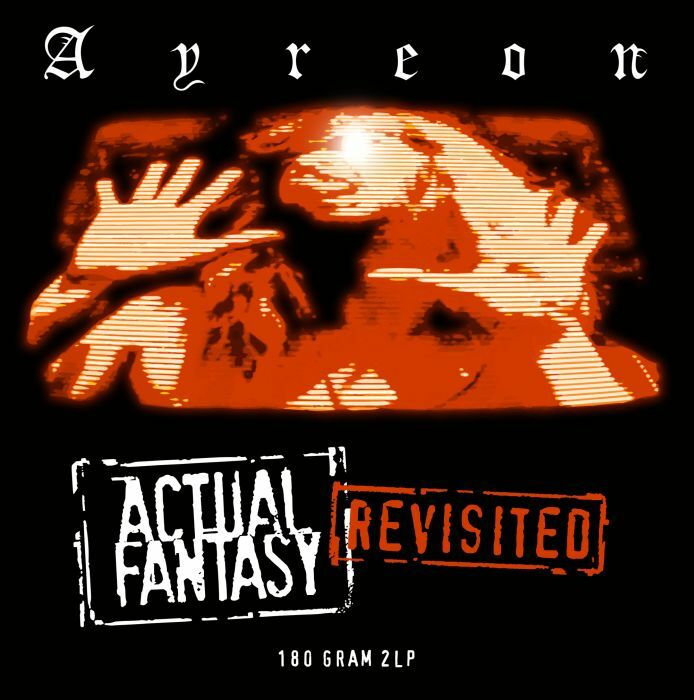 • Actual Fantasy Revisited is the only Ayreon release that does not feature a single overarching story concept, but instead draws on science fiction and fantasy films for inspiration, as well as stories written by Arjen himself. • The original Actual Fantasy (1996) was recorded with a digital drum computer: Arjen remixed the album in 5.1 in 2004 and had the drum sections re-recorded by Ed Warby (Gorefest, The 11th Hour, Hail Of Bullets).